In a blog/article titled “Smog in the City” published November 12, 2015, I mentioned the exchange of comments between Dr. Consuelo dL. Habito and myself on the possible causes and ways to mitigate the ill effects of air pollution in Philippine urban centers. “In the same post, there was an interesting exchange of comments between Dr. Conie (who really is my idol) and me that revolved around (1) the need to review our second hand and “surplus” motor vehicle importation policies, (2) the need to encourage and establish a sustainable public mass transport system that would cover Metro Manila, and (3) the ill effects of air pollution.” (Antonio, 2015) To state a piece of legislation where our discussion revolved, let’s focus on Item No. 1: “the need to review our second hand and “surplus” motor vehicle importation policies”. “SEC. 21. Pollution from Motor Vehicles. - a) The DOTC shall implement the emission standards for motor vehicles set pursuant to and as provided in this Act. To further improve the emission standards, the Department shall review, revise and publish the standards every two (2) years, or as the need arises. It shall consider the maximum limits for all major pollutants to substantial improvement in air quality for the health, safety and welfare of the general public. SEC. 22. Regulation of All Motor Vehicles and Engines. Any imported new or locally-assembled new motor vehicle shall not be registered unless it complies with the emission standards set pursuant to this Act, as evidenced by a Certificate of Conformity (COC) issued by the Department. Any imported new motor vehicle engine shall not be introduced into commerce, sold or used unless it complies with emission standards set pursuant to this Act. Any imported used motor vehicle or rebuilt motor vehicle using new or used engines, major parts or components shall not be registered unless it complies with the emission standards set pursuant to this Act. In case of non-compliance, the importer or consignee may be allowed to modify or rebuild the vehicle or engine so that it will be in compliance with applicable emission standards. No motor vehicle registration (MVR) shall be issued unless such motor vehicle passes emission testing requirement promulgated in accordance with this Act. Such testing shall be conducted by the DOTC or its authorized inspection centers within sixty (60) days prior to date of registration. The DTI shall promulgate the necessary regulations prescribing the useful life of vehicles and engines including devices in order to ensure that such vehicles will conform to the emissions which they were certified to meet. These regulations shall include provisions for ensuring the durability of emission devices. “Section 5. Use of Tamper-resistant Odometers and Fuel Management Systems. – Pursuant to Section 21 of the Act, the DTI shall prescribe regulations requiring the disclosure of odometer readings and the use of tamper-resistant odometers for all motor vehicles including tamper-resistant fuel management systems for the effective implementation of the inspection and maintenance program. An honest-to-goodness assessment of the Philippine transport situation will reveal that a majority of public utility vehicles are second hand or commonly known as “surplus” motor vehicles imported from First World countries. This situation simply means that these particular provisions of both Republic Act 8749 and its Implementing Rules and Regulations have not been followed. 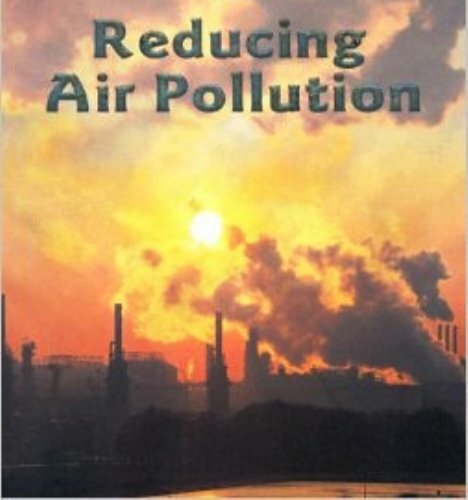 How do we now start reducing air pollution?